Canada's trade deficit unexpectedly rose to $2.69 billion in February from $1.94 billion in January as imports grew much faster than exports, Statistics Canada data indicated on Thursday. The deficit was larger than the $2.00 billion shortfall predicted by analysts in a Reuters poll. Canada has only recorded two monthly trade surpluses since October 2014. Imports rose by 1.9 per cent on a 15.4 per cent surge in shipments of energy products, pushed up by higher demand for crude oil and crude bitumen. Imports of motor vehicles and parts climbed by 1.7 per cent after unusual auto plant shutdowns had crimped demand in January. Exports grew by 0.4 per cent as shipments of passenger cars and light trucks rebounded following the auto plant closures in January. 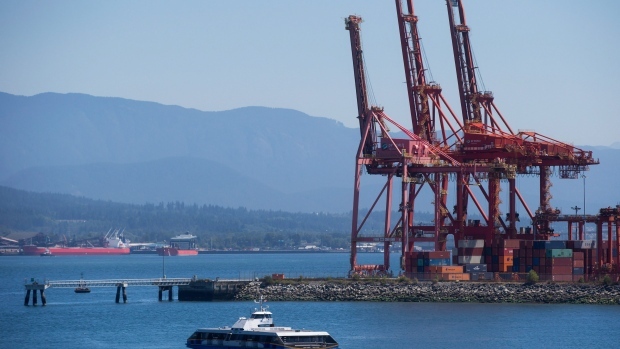 Exports of farm, fishing and intermediate food products dropped by 17.2 per cent, the largest fall on record, as rail transport problems in western Canada slashed shipments of wheat and canola. Exports to the United States rose 1.9 per cent while imports increased by 3.3 per cent. As a result, the trade surplus with the United States shrank to $2.58 billion from $2.93 billion in January.